1) Stay home and cook dinner together. Cooking is fun and you’ll be able to avoid all the hassle of getting reservations. 2) Cook really simple, but great quality food. Who needs the stress? While there are plenty of things one can make that are simple, I recommend seafood for an extra special Valentine’s. It comes together super quick and if you buy good quality, it is always delicious. Plus it isn’t too heavy so you’ll have plenty of room for some tasty chocolate treats afterward. Here are two recipes that you can either use together or solo depending on your plans. 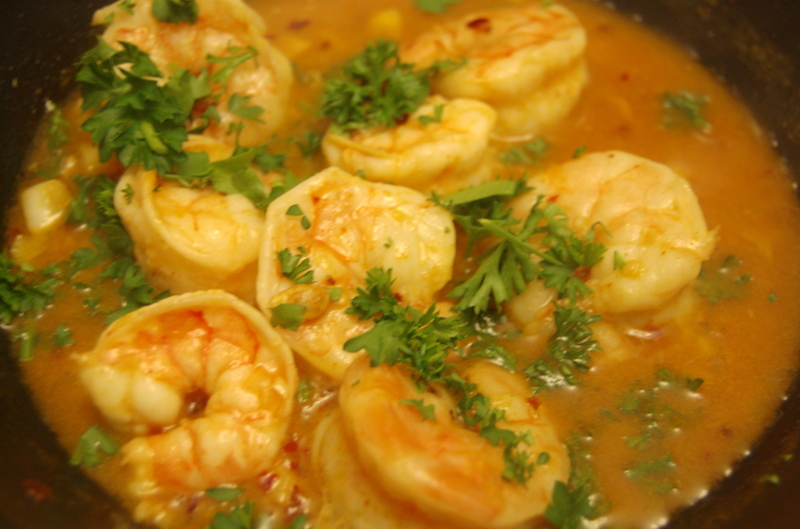 The first is a classisc Spanish Gambas recipe. It comes together so quickly and yet the sauce and the shrimp are positively perfect. I recommend it as an appetizer, but you could serve it as a main as well. 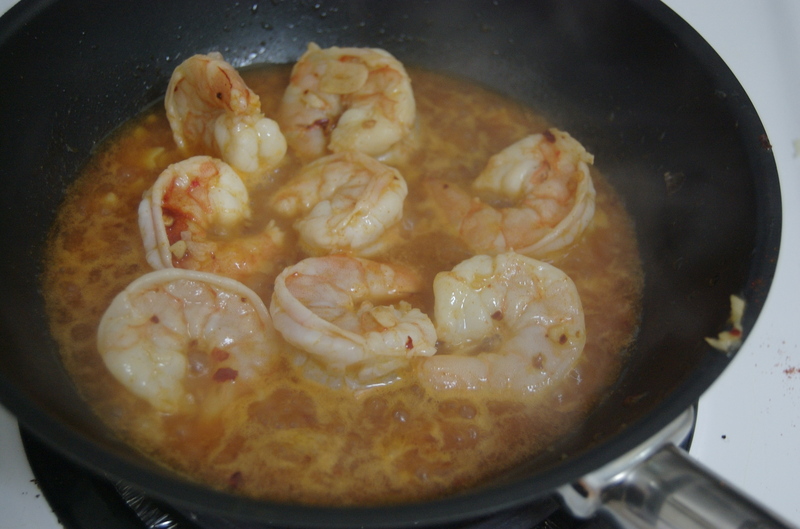 After you have cleaned your shrimp, heat a small fry pan with olive oil. Toss in your garlic and chili (vary the amounts depending on your taste). Let them cook a bit, but be careful not to burn the garlic. 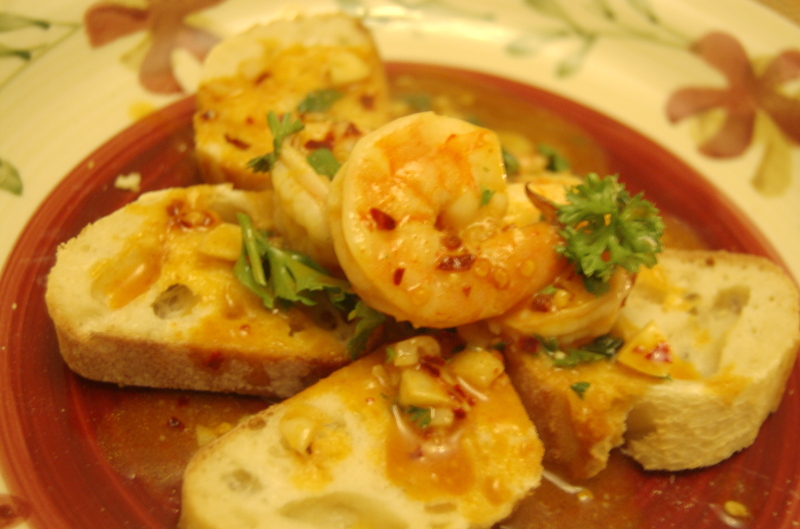 Toss in the shrimp along with a bit of lemon juice and a glug of sherry. Toss it well and wait for the shrimp to turn pink. Sprinkle liberally with parsley and serve with fresh bread. 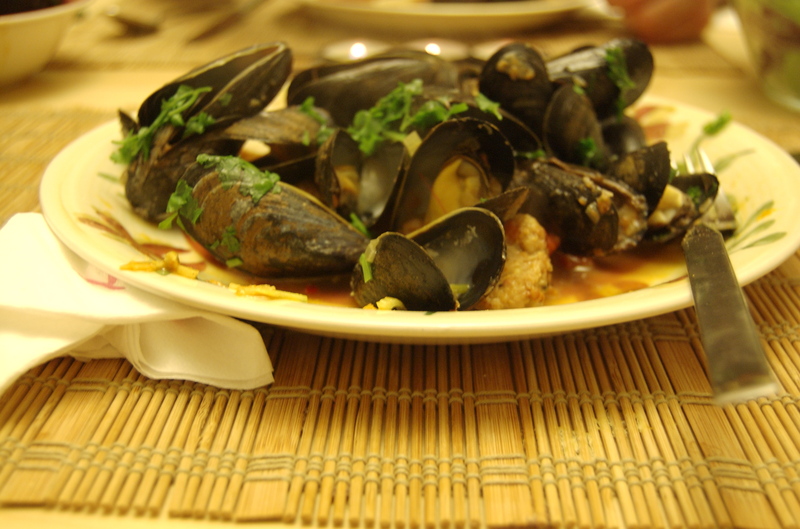 My next recipe suggestion is mussels. They are also very quick to prepare and fun to eat. There are many simple recipes out there that involve steaming them in a bit of white wine, but recently we tried a great recipe from The Guardian that also used chorizo sausage. It was a bit more work, but still very simple. The key with mussels is to buy very fresh ones. Most fish mongers will beard them for you, but be sure to check. It is also important to toss out any that don’t close their shells when you pinch them or if they have broken shells. Aside from this they are one of the easiest dishes to prepare. For a main meal you should count on about 1 lb. of mussels per person. In large pot heat the olive oil and sauté the sausage until it is cooked. Add the shallot and garlic and allow it to soften. Then add your tomatoes and allow them to heat through. Allow the sauce to simmer and thicken. Add the wine and let the sauce reduce for another few minutes. 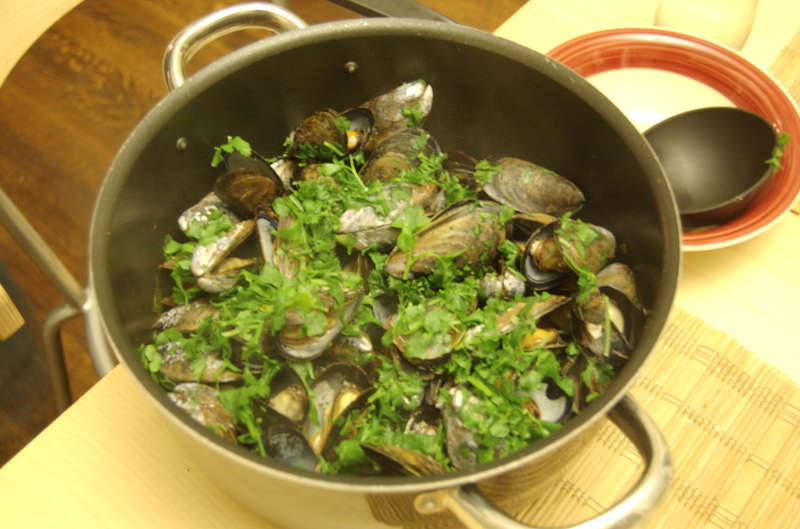 Toss in the mussels with the parsley and stir it up. Put the lid on and wait a few minutes until the shells have opened. If some mussels don’t open, discard them. Season with salt and pepper how you like. Once again, serve it up with fresh bread to soak up the sauce! A green salad on the side is also an excellent addition. Don’t forget a delicious dessert and you will be sure to have a meal to please! Happy Valentine’s Day! I personally Think blog, “Seductive Seafood | In Kelly’s Kitchen” was in fact good! I reallycan’t agree with u more! absolutely helpful and it has aided me out loads. I hope to give a contribution & assist other customers like its helped me.